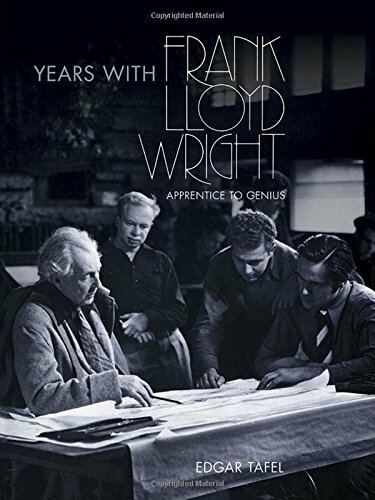 This insightful memoir by a former apprentice presents a revealing portrait of Wright the man, the inspired teacher, and the architect. Tafel provides illuminating anecdotes about Wright's Prairie home and Oak Park periods, his disdain for the Bauhaus school, the design and construction of the Imperial Hotel in Tokyo, and much more. Reprint of Apprentice to Genius: Years with Frank Lloyd Wright, McGraw-Hill Book Company, New York, 1979. Insightful memoir by former apprentice presents a revealing portrait of Wright the man, the inspired teacher, the architect. vi+228pp.